While Warner Bros. is attempting to diversify its slate of DC Entertainment movies by producing a standalone Joker movie that is not tied to the Justice League and Suicide Squad movieverse, the studio is still firmly committed to that continuity, with Shazam! currently in production, Aquaman in reshoots and Wonder Woman 2 and Flash in various stages of pre-production. One DC movie that we haven’t heard much about is the planned Black Adam movie that Dwayne Johnson has been hyping since the early 2000s. The movie still doesn’t have a director attached, but Johnson said in a recent interview with Yahoo! 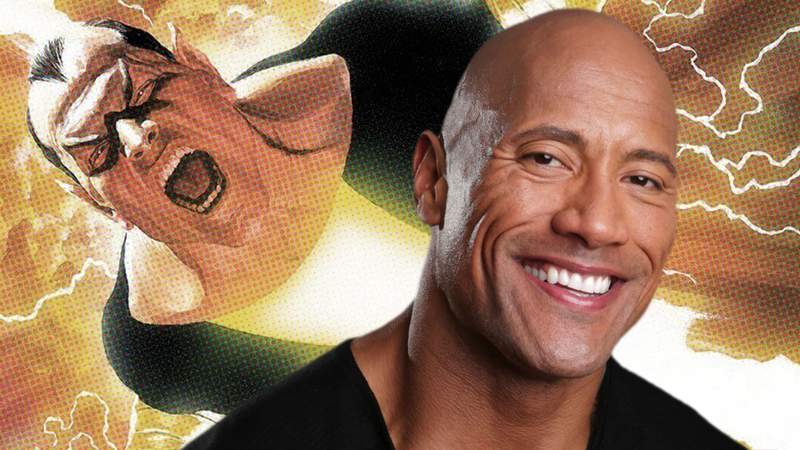 in support of Rampage that the writer (presumably Earth to Echo’s Henry Gayden) has turned in the script and that they could be going into production on Black Adam as early as next year. The script came in, it’s great, we’re working on it, we’re very excited about it. If things could come together the way we anticipate them coming together, that feels like a 2019 movie, in production. It’s a challenging thing. When Marvel is doing such an incredible job of universe building and building out, and DC is doing a great job finding the footing and tone of their movies, certainly with like ‘Wonder Woman,’ for example. I look forward to James Wan’s movie that’s coming out, with ‘Aquaman.’ So, ‘Black Adam’ is this phenomenal opportunity for us to nail the tone, make sure that he’s badass, make sure that we’re serving the mythology properly, but then also make sure that we can have intrinsic DNA tied to a lot of other properties in DC. So, it’s not an easy thing to do, you know, but I think we’re going to nail it. For much of his publishing history dating back to December 1945, Black Adam was archenemy of Captain Marvel, aka Shazam, a villain granted incredible powers by Egyptian gods whenever he says “SHAZAM.” In recent years, Black Adam has been portrayed as being more of an antihero who is sometimes allies with and sometimes at odds with Shazam and the Justice League.